Maruichi Ohnishi Foods Co., Ltd. The Hokkaido Bank, North Pacific Bank, Ltd. Renamed as Maruichi Ohnishi Foods Co., Ltd. 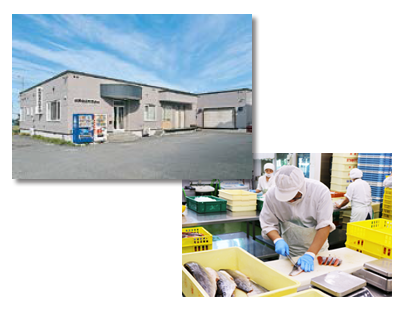 Started seafood processing department independently, named EIKO FOODS Ltd. at the same time as enlarged current head office. 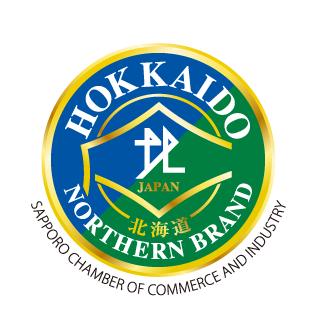 “Northern Brand” is a certificate given by “The Northern Brand Selection Committee” to a unique product or technology which has been invented or created by a Member Company of The Sapporo Chamber of Commerce and Industry. “The Northern Brand Selection Committee”, organized by academics and specialists in various fields, examine and select excellent products or technology based on the following criteria. 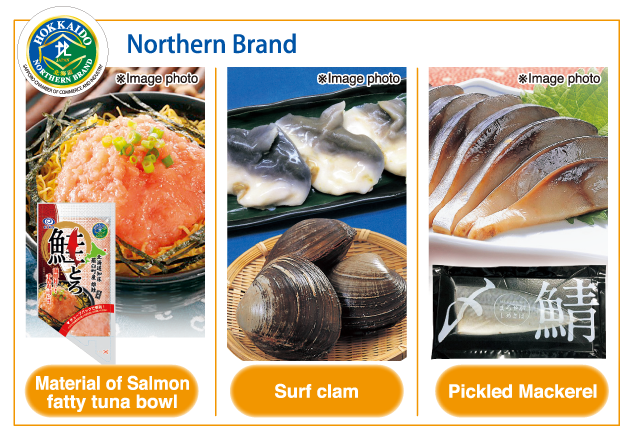 We stringently select fresh fish from Rausu, Shiretoko which is natural world heritage. 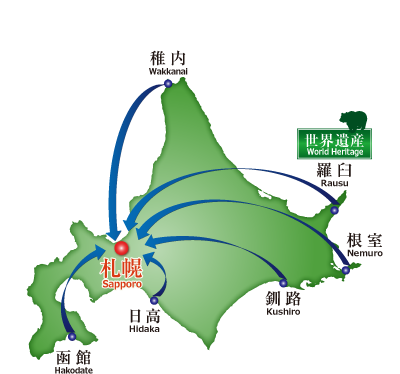 We are able to fishing the fresh fish from Rausu, Shiretoko which is designated as natural world heritage using our original network. This is our strength that we can purchase fresh fish based on Shiretoko. 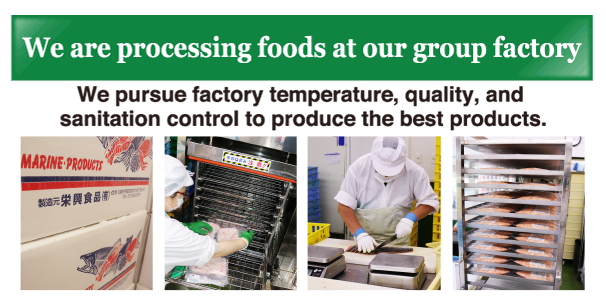 Our group company, EIKO FOODS Ltd. maintains processing food with its freshness. 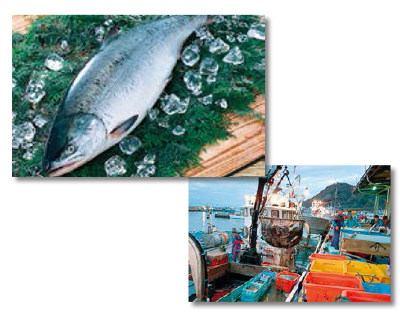 Our group company, EIKO FOODS Ltd. mainly produces processed seafood in Hokkaido. They always undertake to produce the high-quality of original products, and follow the motto of providing safe and secure foods for the customers. 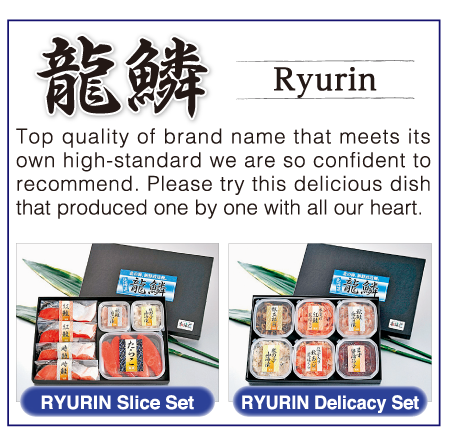 The house brand “Ryurin” and a broad lineup products. 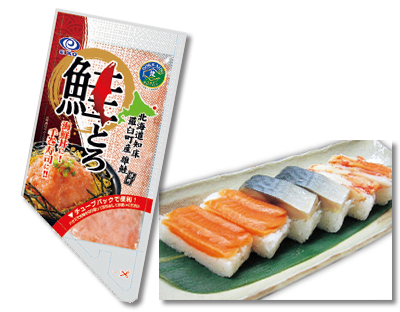 With over half a century of experience, marketing business of Ohnishi Foods Co., Ltd. deals in agricultural products and seafood. 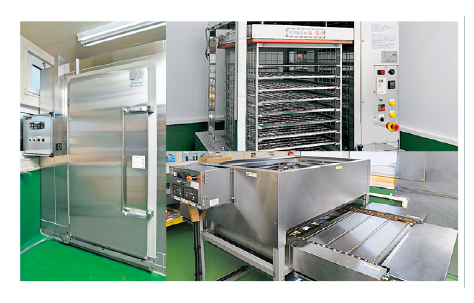 Moreover, we also sell the various products related to food such as seasoning and frozen food. We pursue customer satisfaction through a rich variety of products.